The Federation Internationale Cinema Television Sportifs (FICTS), an organization recognized by the IOC – International Olympic Committee (IOC), promotes and spreads the development of the Olympic Values and the culture of sports through the actual use of sports images under the motto “Culture through Sport”, in collaboration, and with free membership, for members of Olympic Family, International Federations, National Olympic Committees, Olympic Museums, and Olympic Academies. The Olympism is a universal ideal of “Culture through sport”, a great educational tool for social change and for the remarkable growth of young people, “Global Movement at the service of humanity” for FICTS. FICTS conceives Olympic values as an instrument of human dignity in the world, and a vehicle of growth and people’s harmonious development. FICTS support sport independence and autonomy for social development and peace. 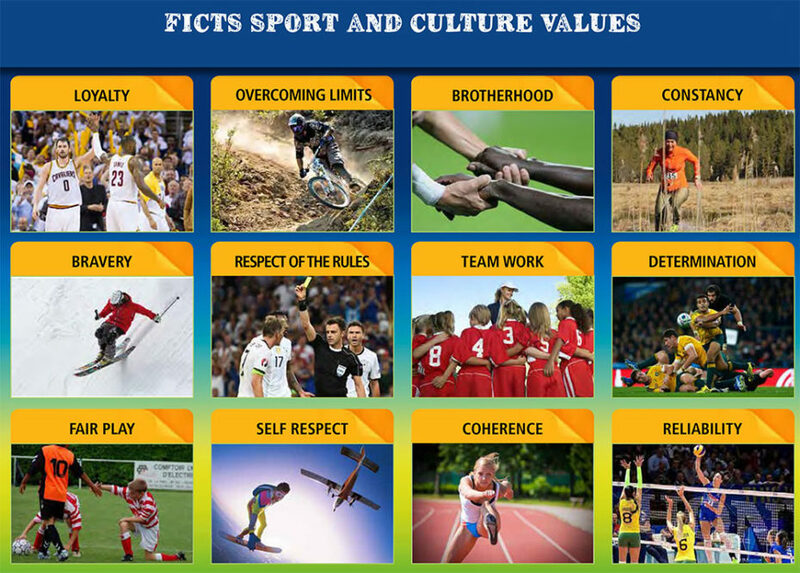 FICTS promotes the social and cultural value of the Olympic and Paralympic Games, blending sport with culture, with the intent to spread a life philosophy, based on educational values and the respect of universal ethical principles of sports and Olympism. FICTS encourages young people to use their creativity to become creators and consumers of sports contents, including Olympic images, through modern technologies and social media. FICTS, through sport culture, considers fundamental aspects in the actual context of globalization: the comprehension and mutual respect of different civilization, culture diversities, responsibilities, social integration, equal opportunities and rights for disabled people. FICTS believes that women are a fundamental element for a profitable development of culture and education. They are key figure in the social dynamics of contemporary society. FICTS supports the role of women in sports at all levels and in all structures. FICTS develops forms of collaborations and synergistic actions with the International Olympic Committee (IOC) and the IOC Culture and Olympic Heritage Commission through the realization of common projects and initiatives for the promotion of the Olympic value.